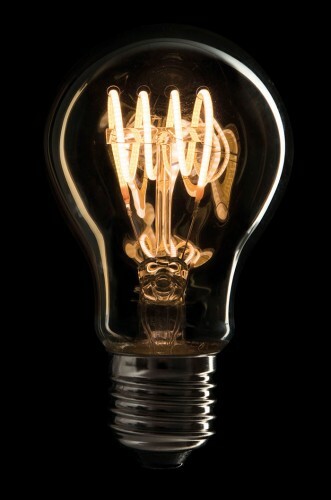 Almost 140 years ago Edison invented the light bulb, giving the entire world the gift of light. And now Showtec presents a classy way to dim it. Introducing the Showtec Edison Dot E1, Edison Star E6 and Edison Bar E6, three stylish retro-like fixtures equipped with E27 sockets. 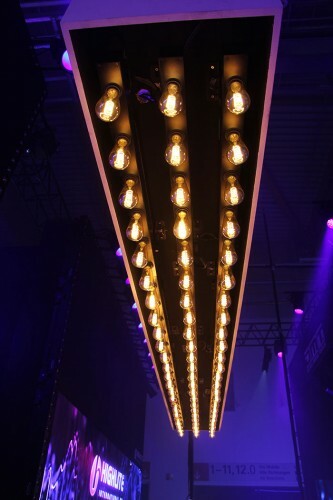 The Showtec Edison fixtures offer lighting designers the possibility to add a finishing touch to their set-ups, to create atmosphere during an event or accentuate the catwalk during fashion-shows. Three design fixtures including brackets with daisy-chain possibility for the DMX-signal and power. The E27 sockets offer the freedom of completing the show elegantly by adding various Showtec E27 LED filament bulbs. The Showtec Dot E1 is the smallest fixture of the three with room for 1 E27 bulb. Due to its small size, it can be placed almost everywhere. 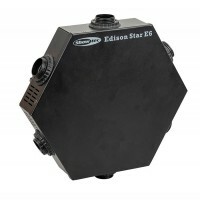 The Showtec Star E6 accommodates six E27 sockets in a hexagon shape. The Edison Bar E6 is the retro bar of the Edison range. Installing them alongside a catwalk or scattering units in the background of the stage automatically adds a sophisticated feel to the event. Showtec offers a wide range of E27 LED filament bulbs which combined with the Edison fixtures will get the feeling of nostalgia and design across perfectly and turn every event into something special. Elation Professional has expanded its award-winning Artiste line of theatrical-grade moving heads with the new Artiste Van Gogh, a state-of-the-art LED Wash luminaire that excels at accurate colour reproduction for colour projections of outstanding quality. Coupled with internal framing and whisper quiet operation, it is ideally suited for television, theatre and corporate events, but has application anywhere powerful and even wash coverage is desired. The fixture is now shipping. An efficient 380W Bright White, high-CRI LED engine (6,200K) emits up to 16,000 lumens of high-quality, flat-field light. With a high colour rendering index of 92, the Artiste Van Gogh is exceptional at accurately displaying colours for vivid shades that positively radiate and textures that really stand out. It excels at maintaining an even distribution of light and an even colour temperature across a surface for a smooth wash and consistent light quality that looks great on camera and in person. The ideal partner to the profile luminaires in the Artiste range, illuminating objects and people with authentic colour reproduction is the perfect application for the Artiste Van Gogh. A 16-bit CMY colour-mixing system with a seamless CTO filter offers the designer a wide colour range from subtle pastels to vibrant primaries. A seven-position color wheel is provided for added colour customisation and includes a dedicated UV filter. The ability to control precisely the shape of the light beam is essential in television and theatrical lighting. The Artiste Van Gogh excels with an internal four-blade, full blackout, barndoor system that allows for beam shaping and accurate light control at any angle. The entire barn door assembly is indexable, allowing the beam to be shaped and angled as required for accurate highlighting of set pieces and performers. Designers can also use the flexible framing system to create outstanding projection or mid-air effects. Beam angle can be resized from 7° to 55° (PC lens) and 11° to 66° (Fresnel lens) via a motorised zoom for more exact coverage. With a choice of PC or Fresnel lens (both included), the Van Gogh is flexible at any distance or field of projection from tight beams to wide, smooth washes for use in a variety of applications. A linear wash frost filter can be added at any time for an extra layer of smoothing. The Artiste Van Gogh comes equipped with all the professional control and connection features that designers would expect from a cutting-edge luminaire. Much like the artistic icon it is named after, the Artiste Van Gogh is both creative and inspirational and will serve as an essential design tool in the hands of the inventive designer. 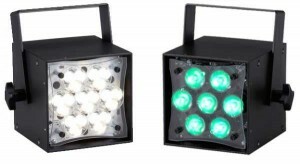 PR Lighting has introduced a new flagship to its popular IP66-rated AQUA range, with the release of the PR-2597 AQUA 580 BWS (combined Beam, Wash and Spot) and PR-2569 AQUA 580 Beam. These made an astounding debut at this month’s Prolight+Sound Show in Frankfurt. Housing the Philips MSD Platinum 25R (550W) lamp (with optional Osram Sirius HRI550W XL) this fully featured fixture, with PR Lighting’s trademark advanced optical path, contains colour wheel with 12 colour filters (plus open), bi-directional rainbow effect at variable speeds, stepplng/linear colour changing, a CMY colour mixing system (with macro) and individual colour temperature adjustment 0-100%. There is a fixed gobo wheel with 18 gobos (plus open), bi-directionally rotatable and shakeable at variable speeds, and a rotating gobo wheel with seven gobos plus open (gobo replaceable). Further effects include a prism wheel containing four prisms (standard eight-facet, nine-facet, four-facet and gradient, with optional three-facet and 16-facet prisms, bi-directional rotation with variable speeds. There is also an effect wheel which can overlap with gobos and again offers bi-directional, vari-speed rotation, and a frost filter. The focus and zoom functions are motorised linearly and the double shutter blade strobe offers 0.3-25 fps. Head movement offers 540° of pan and 270° (tilt) with auto position correction and adjustable speed. Light angles on the Aqua 580 BWS, are 2° (beam), 2°-40° (spot) and 3°-50° (wash). Control is via DMX512, offering 23 channels in short mode, 31 channels in standard mode and 35 channels in extended mode. Housed in temperature resistant cast aluminium, the fixture weighs 36.5kg. 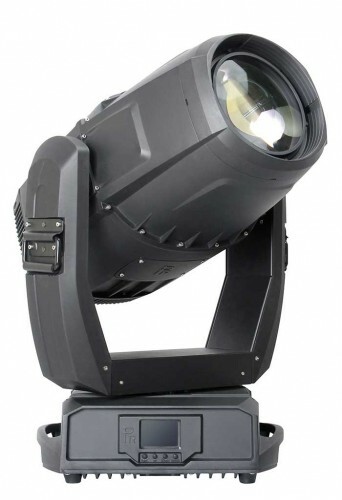 The Aqua 580 Beam offers a similar feature-set, with three prisms (eight-facet, 16-facet and four-facet) with optional three-facet and gradient prisms, but crucially the light angle is 2°. Control is via DMX512, with 19 channels in short mode, 26 channels in standard mode and 29 channels in extended mode. Both fixtures will be ready to ship in mid-2019. Ultimate Hinge is the direct result of a customer’s request during last year's Prolight+Sound exhibition in Frankfurt, Germany. MILOS doesn’t only listen to customers and users, they act upon suggestions and create the required products! 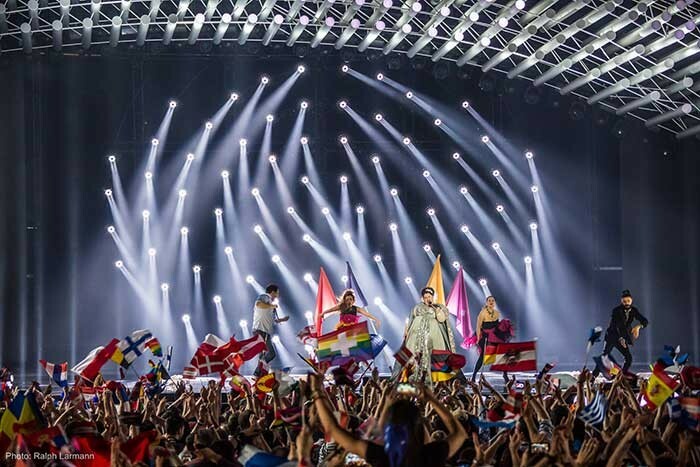 The MILOS Ultimate Hinge is the ultimate partner in creating new and interesting lighting arrangements within truss structures, while eliminating potential damage to book corners. The sorftware can be downloaded here. A perfect example of this new approach to studio design is the renovation of Bloomberg’s Hong Kong bureau. 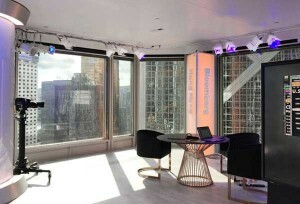 The Braq Cube’s “look and feel” as an architectural fixture and its small form factor fit right into the design of the studio while properly lighting the set at the same time. 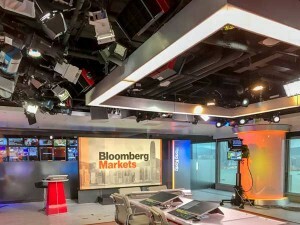 The new studio consists of smaller, intimate areas for interviews with financial news-makers. 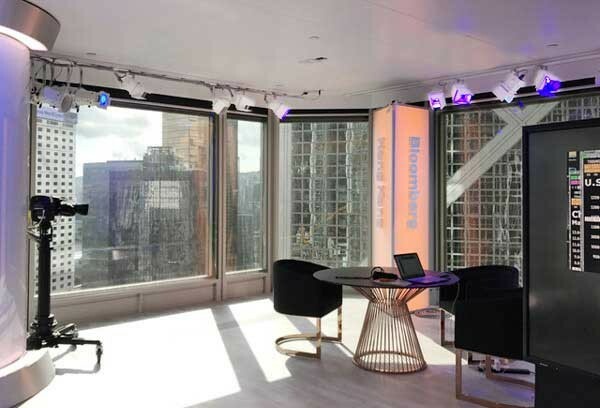 LDG needed a low-impact fixture that blended well with Bloomberg’s aesthetic but provided enough light to work with the sunlight and create an overall, well-illuminated space. Some areas of the new studio feature the Braq Cube 4C colour-mixing LED fixtures in white housings. These fixtures were specified with track adapters so that they could be easily installed into the architectural lighting track overhead. The studio controls would mix the RGBW fixtures to tungsten or daylight colour temperatures while shooting, but when they’re not illuminating the shot, the Braq Cubes are programmed to project saturated color to add punch into the background shots and assist with ambiance. The designers at Lighting Design Group use Braq Cubes in a variety of ways, from wall washes to talent light. They can play multiple roles, sometimes simultaneously, making them a go to fixture in this new age of broadcasting. 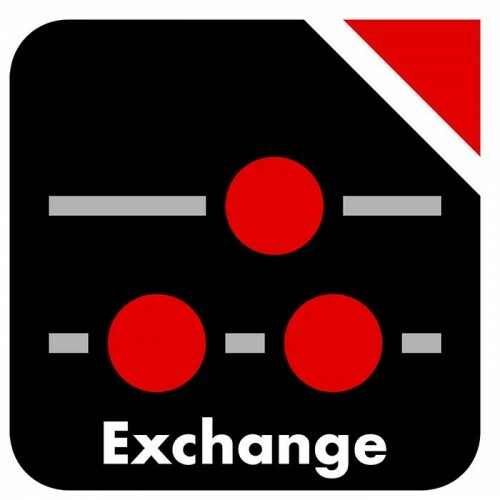 ArrayCalc Exchange and a corresponding video tutorial will be available as free download via dbaudio.com. 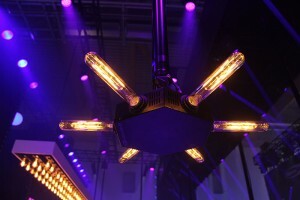 The five-year/three-year limited warranty applies to Elation’s Artiste, Fuze, KL Fresnel, Seven and Profile LED product series for indoor installation projects installed and maintained by an authorised reseller. Products used on temporary indoor rental projects also benefit from the extended five-year warranty on LED engine sources with warranty coverage on fixture components remaining at two years. 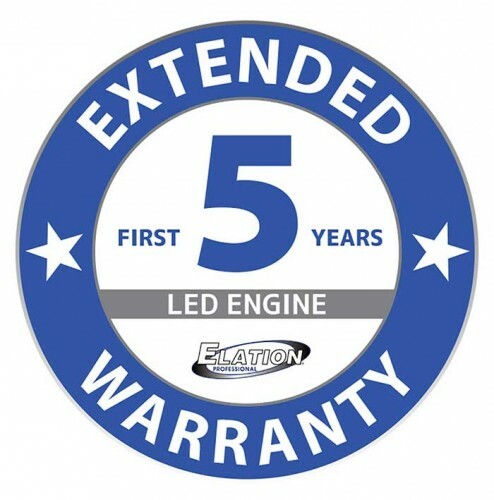 All exterior-rated lighting products continue to be covered by Elation’s standard twoyear limited product warranty for the LED source and fixture components. 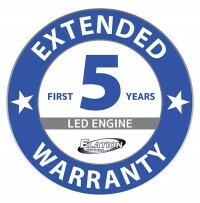 The new extended warranty coverage went into effect as of 1 April, 2019. Please contact an Elation representative directly for more details. Flare Audio Limited has announced the arrival of its highest quality earphone to date, the Flare PRO 2HD. Available now, and providing both wired and wireless play, the PRO 2HD is the culmination of further refinement of the company’s ever-evolving tech. Flare believes the result is the most detailed sound ever heard in any earphone – at any price point. While aimed at all serious music lovers, the PRO 2HD is also expected to appeal to professional musicians who can use it as an IEM (in-ear monitor) on stage, due to its superb isolation and high level of detail. For those who want a superior sound but with a smaller budget, Flare recently launched the Flares PRO 2, which still provides outstanding clarity but at a more modest price. To create the HD, Flare’s highly-regarded previous PRO model was put under the microscope and underwent further advancements to its structure and technology. Increased earphone cell thickness in the body and end cap better eliminates remaining structural resonances. Flare’s JET technology and acoustic lens technology have been maximised to reveal even more musical detail than has ever been previously achieved, and the JET technology refined to remove as much air pressure as possible, leaving the 5.5mm beryllium driver unrestricted to move freely. The acoustic lens at the front of the earphone has also been coated in a micro-thin layer of rhodium. This coating ensures a super-slick and flawless finish to the acoustic lens which increases the accuracy and speed of the sound, focusing it at the highest possible resolution. The Flares PRO 2 and PRO 2HD supersede the previously hailed Flares Pro and Flares Gold models, again offering wired or wireless play, three types of Earfoams in three sizes (small, medium, and large) as well as a Flare hard case. With an impressive track record of pro loudspeaker products and earphones, the Flare brand is favoured by many producers, musicians, and audio lovers that seek outstanding clarity and a ‘totally immersive’ audio experience. The new PRO 2HD is a prayer answered for perfectionists who want their audio true to source, as the artist intended. 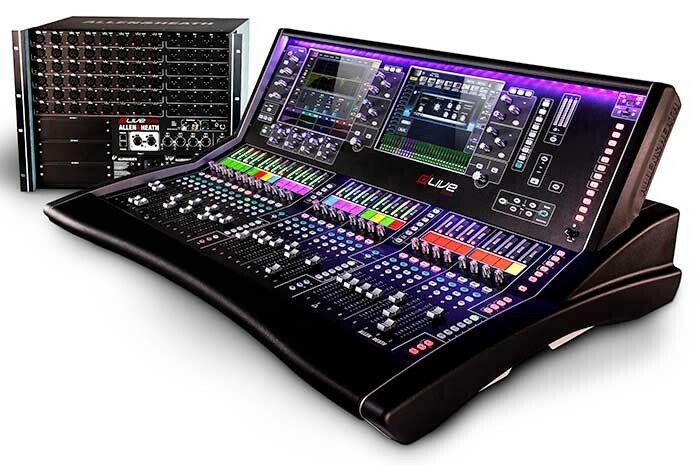 Available in two versions, the LS-1, which includes a hardware console, and the more affordable LS-Core, LightShark is an intermediate lighting control product that offers completely integrated hardware and software control via smartphones and tablets. 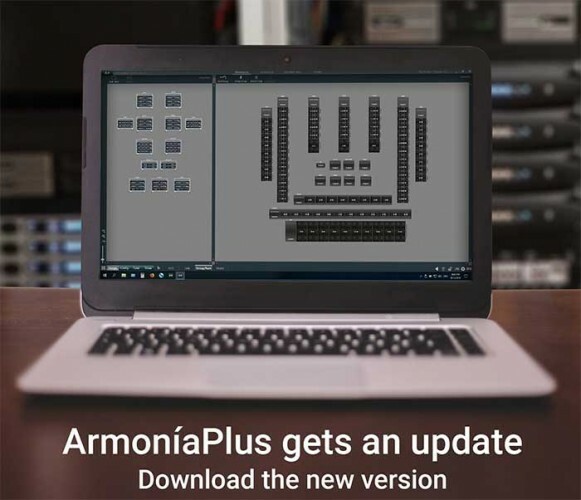 It can handle up to 4192 DMX channels and works with industry-standard DMX and Artnet lighting protocols, enabling easy integration into existing production environments and lighting rig. 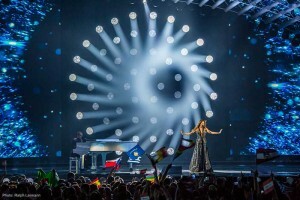 Elation Professional’s latest innovation in its award-winning Artiste series is a brilliant, 45,000-lumen strong LED Profile light capable of projecting some of the most gorgeous colours ever produced by an automated LED luminaire. A remarkable combination of brawn and beauty, the Artiste Monet is ideal for any application requiring superior output, stunning effects and unmatched colours in a virtually silent luminaire. The Artiste Monet’s unprecedented colour palette is possible due to an innovative SpectraColor LED engine that uses traditional CMY colour mixing and adds variable RGB flags for richer, more saturated primary colours. In combination with variable CTO colour correction, the Monet produces colours that were previously impossible to achieve, from theatrical pastels to the most vibrant primary reds or blues ever produced by a colour mixing system. The wide colour gamut is achieved by seven colour-mixing flags with 16-bit precision, providing artistic possibilities that are truly inspiring. A six-position fixed colour wheel with UV and high CRI options round out the Monet’s amazing colour range. 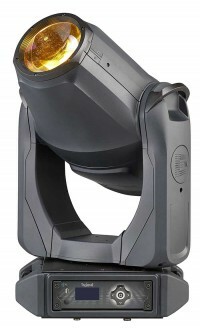 Projection quality from the Monet’s efficient 950W white LED engine (6,500K) is outstanding, and with such extreme output radiating from an impressive 160mm front lens, the fixture has the power to cut through at even great distances in arena touring environments or large TV or theatre stages. A precise zoom can adjust the beam quickly and evenly from a tight 6.5° to a wide 55° for use in a variety of situations. With Monet, designers have access to a comprehensive package of design options that enables it to proudly live up to its artistic namesake. 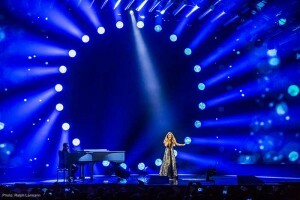 Creative expression is bolstered by seven rotating and seven fixed glass gobos for aerial and projected effects, a set of gobos that should be well received by all types of lighting designers. Effects can be multiplied via dual prisms for more bustling looks or a 360° bi-directional animation wheel can be engaged to bring graphics to life. Two linear frost filters can be applied for an even diffusion of light when designers wish for softer gobo or soft wash effects. A high-speed iris can be engaged for further impression. Also unique to the Artiste Monet is its full blackout, four-blade framing system for full control of the beam shape. Not only does the adjustable system allow for refinement of the beam shape and projection at any angle, newly designed unlimited indexing and continuous rotation control allow shapes to rotate while morphing and transforming, allowing for creative transitions, projections and aerial effects not previously possible. 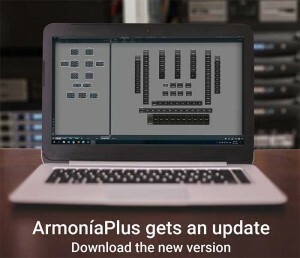 This update further improves ease of control by introducing A/B/C/D inputs, enabling up to four input sockets to be assigned to every input channel, and provides fast and seamless selection of sockets via SoftKeys, perfect for rapidly switching to a backup microphone, or to pre-recorded files on a playback system. Penn Elcom launches a new range of its famous MOL automatic positioning latches, and lid-stay hinges utilising the innovative WeatherSeal technology. 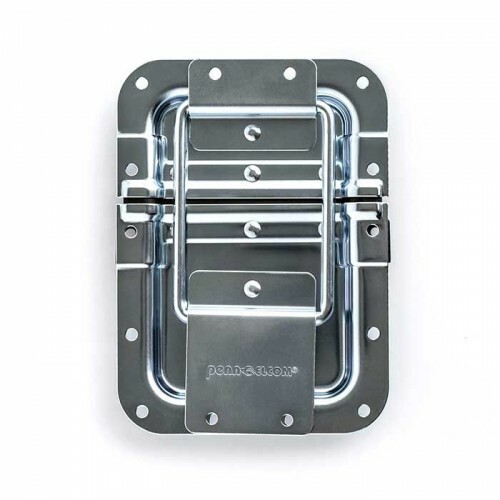 The latch is mounted in a generous recessed dish for use on large-sized cases. Tough PennBrite zinc plating offers excellent protection against corrosion and gives that cool distinctive PennBrite finish which is used on most of Penn’s flightcase components and exudes quality and robustness. 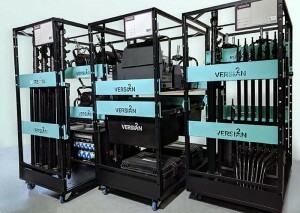 Engaging in constant dialogue with numerous flightcase manufacturers, users and many companies building their own cases, Penn has listened closely to their demands, ideas and suggestions, and energised their R&D team to develop this ground-breaking new case accessory technology and process. Globally, the Penn Elcom MOL name is synonymous with high quality and dependability. 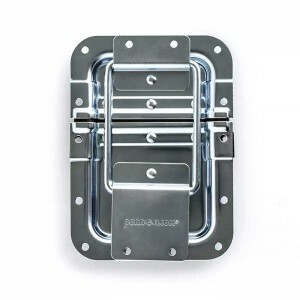 Invented in 1995, the MOL range of fight case latches and hinges revolutionised the industry and redefined standards in fightcase locking. 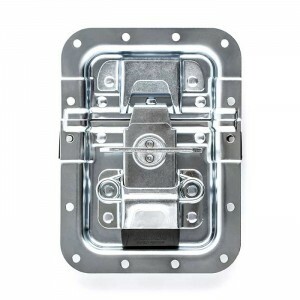 This new generation of MOL latches is designed with a cantilever automatic open and close function, making locking and unlocking cases a whole lot easier, even with one hand or in the dark! WeatherSeal Penn products will be of specific interest to rental, staging, AV, lighting, video and audio companies regularly working on all types of outdoor events – from concerts and festivals to spectaculars, corporate events etc., and also any projects involving flightcased equipment in humid or moist environments from palm houses to swimming pools. Based on the Allen & Heath TCP/IP control protocol, the drivers enable integration with third-party equipment and industry-leading control systems. Obsidian Control Systems is now shipping both the NX2 and NX Wing, the first lighting control products available under the ONYX lighting control platform. Both consoles ship with new ONYX software. Feature -rich and never restricted in its capabilities, the powerful NX 2 is the ultimate compact yet fully integrated lighting controller with all the connectivity and power the ever-increasing size of shows demands. As a member of the innovative ONYX platform, the NX 2 offers a slate of professional features like a high brightness, full-HD multi touchscreen, eight assignable parameter encoders, an assistive mini touchscreen, full keypad and command section, a dedicated grand master, and ten full playbacks with four freely assignable buttons. Also shipping is the NX Wing, the complementary USB control surface to Obsidian Control Systems’ ONYX platform. Based on the NX 2 console, the NX Wing utilises the same rugged design and components with an identical footprint and layout. Through its USB connection, the NX Wing provides a responsive professional hardware surface to operate ONYX on any PC system without compromises. 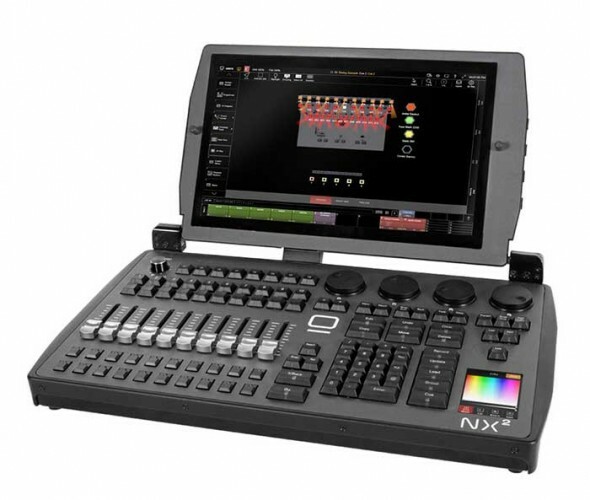 The NX Wing provides extensive connectivity with 4 DMX Ports, MIDI and Timecode ports while unlocking 128 Universes of control when connected to ONYX on a PC. Designed for use with all new NX and existing M-Series hardware, fully updated ONYX software is available and shipping in each NX series console. Powerful yet easy-to-learn, the stable and efficient programming platform is fast to program and fun to operate. ONYX scales from the smallest shows to the largest touring productions with easy-to-use tools and optimized graphical work environments that can adapt to any task and complexity. A Capture licence is included with every NX 2 console, allowing immediate access to the popular lighting design and visualisation software. Every NX2 lighting console includes a download of the latest version of Capture Solo after a simple online registration. Users receive an unrestricted standard licence of Capture Solo and all licenses are eligible for upgrades through Capture or any of its authorised resellers. Obsidian Control Systems products are distributed exclusively by Elation Professional worldwide and are available in various sizes to accommodate any scale and budget. Litec Introduces the new Litec Flyintower 10-1,600, which provides safety, stability and rigidity for flying up to 1,600kg of audio equipment at heights up to 10m. 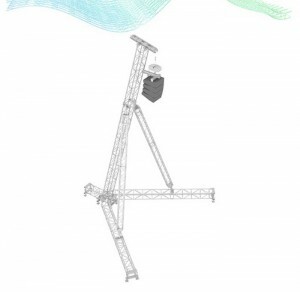 Designed to bridge the gap in the Litec Flyintower range, which includes solutions with load capacities from 300 to 2000kg, the Flyintower 10-1,600 features a 15° inclined mast. The Litec Flyintower 10-1,600 uses standard truss in its construction, instead of custom made truss, making potential replacement of truss sections quick and convenient. The main vertical tower is constructed with QL40A truss, while QH30SA truss is used for the stabilising legs. 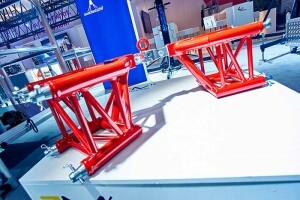 Sturdy fork connectors ensure all truss connection points are strong and rigid. An electric chain hoist or manual winch can be used to lift line array speaker systems. Dedicated accessories specifically made for Litec Flyintower 10-1,600 are also available. Custom versions are possible on request. ETC’s first automated fixture in over a decade hit the trade shows late 2018. After winning an award at PLASA in London in September, and getting rave reviews at LDI in October, the Relevé Spot is now shipping. 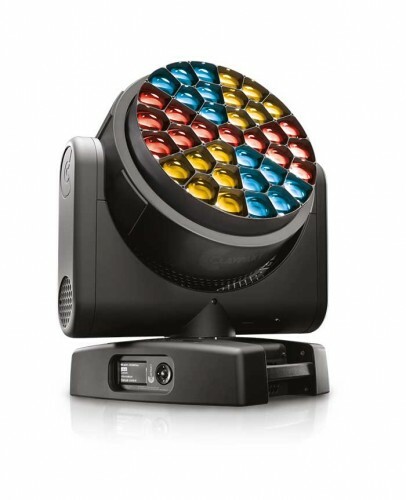 This all-LED fixture boasts an additive colour mixing system that creates colours so bright users will be blown away. With deep reds, piercing greens, and whiter whites, it has to be seen to believe!. 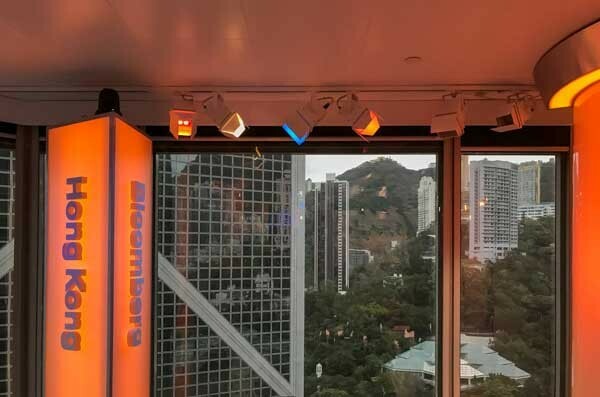 In addition to the impressive colour and brightness, Relevé Spot houses a dual pattern system for increased gobo projection options. The custom Ani-gobo wheel features a seamless pattern that flows from one graphical element to the next. Using this in combination with the customisable, five-position gobo wheel gives infinite texturing and theatre-ready effects. In addition, one of the most impressive features is the industry-leading, patented Whisper Home technology. Relevé Spot enables users set the physical movement limits of each fixture, keeping it from ever having to spin a full rotation at start-up or re-homing. Because Relevé Spot never has to move more than 1° to find its home position, it can be installed in tight rail positions, narrow box booms, and other space-restricting locations. 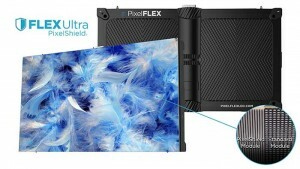 Created to overcome the challenges associated with the protection and performance longevity of ultra fine pixel pitch LED displays, the award-winning LED video manufacturer PixelFLEX has introduced the new FLEXUltra with PixelShield. A true COB technology, PixelShield offers an industry-leading impact and scratch resistant coating for FLEXUltra display and provides a dramatic increase in the protection of your high-definition LED video experience. A dynamic and high definition LED display, FLEXUltra allows for boundless opportunities to experience true HD quality video with the creative freedom to define any space. Utilising the impact and scratch resistant COB PixelShield technology, FLEXUltra is designed in a convenient 16:9 ratio and has a 160° horizontal and vertical viewing angle. With fully font-serviceable panels for quick and easy onsite installation and maintenance, FLEXUltra operates with a 3840Hz refresh rate to eliminate on-camera scan lines and flicker, and is available in 0.9mm, 1.2mm, 1.6mm and 1.9mm pixel pitch options. 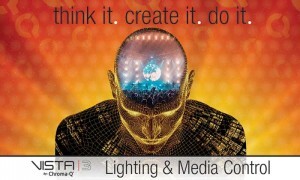 The B-EYE has revolutionised the thinking of LED show lighting. Its innovative optical unit enhances the uniformity and efficiency of the light output. The rotating front lens and the possibility to control each single LED individually have made spectacular kaleidoscopic projections and charming eye candy effects possible. A sophisticated effect engine has made it easier to routinely use macro effects, which would otherwise be difficult to program. Now Claypaky markets the HY B-EYE with the same successful features, which have been enhanced and further enriched: the HY B-EYE is more powerful, more efficient, more interactive with the media server (Kling-Net protocol included), more versatile and even quieter than ever. 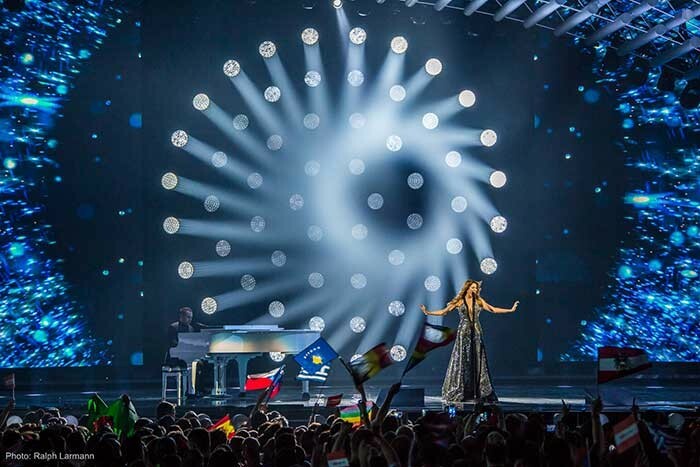 Higher luminous efficiency: The HY B-EYE is extremely bright thanks to the combined effect of its light source and its special optical unit, which was designed by Claypaky and optimised to make the most of the power of the LEDs. More intelligent and easier to program: The HY B-EYE is the first Claypaky light to be developed with Kling-Net protocol built-in. Kling-Net is an advanced plug-and-play control protocol developed by the digital media specialists ArKaos. The benefits of using Kling-Net are all aimed at enhancing the lighting designer's creativity, while making the management and synchronisation of LED light parameters and functions more simple. More quiet: It is even quieter than the previous model. Several HY B-EYE units can be used in TV studios without fear of disturbing the show in any way. A new compact, functional body with a practical, elegant design makes the HY B-EYE ergonomically simple to install on any stage. From the B-EYE to the HY B-EYE: bigger only in its performance. The HY B-EYE K25 has the same dimensions as its predecessor, and weighs only 27.5kg (60.63lb). The K15 version, more suitable for small stages, is only 49cm high (19.29 inches) and weighs only 21kg (46.3lb). 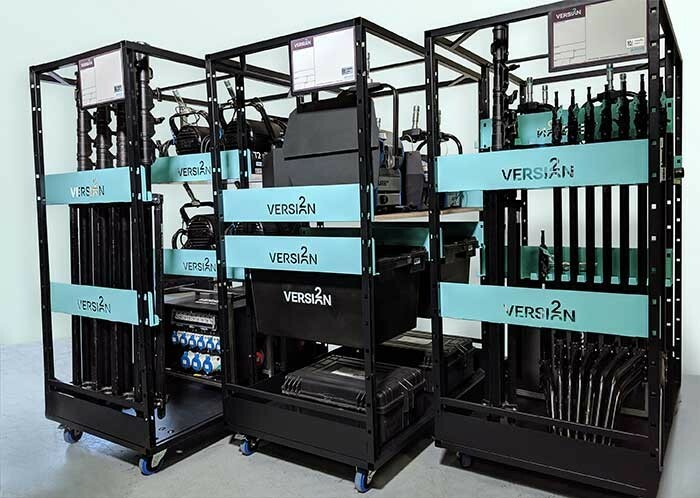 Following its successful launch last September, Vista by Chroma-Q has announced ‘Release 2’ (R2) of its crowd-pleasing Vista 3 lighting and media control software. 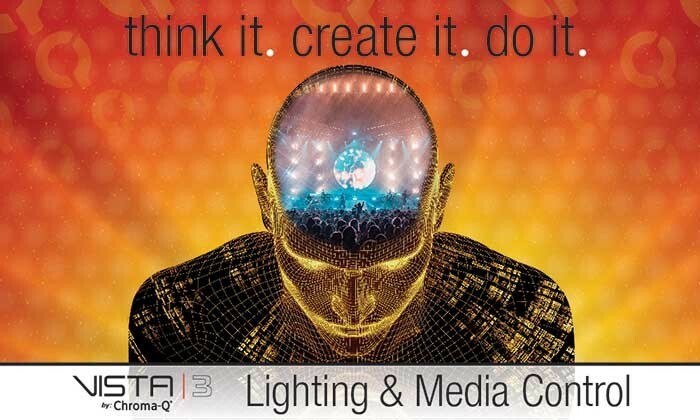 Since its launch last year, Vista 3’s intuitive yet powerful approach to lighting and media control has been embraced by major rental companies, production houses and international lighting designers. It has also been used on a number of international tours, notably for Cliff Richard and Don Broco. As part of Chroma-Q's ongoing commitment to increased functionality and enhanced capability, Vista 3 R2 highlights include expanded fixed installation and external trigger capabilities, including an Astronomical clock and new auto show load options. Other additions include a further improved FX engine, expanded Command Line functionality and an updated factory library. Chauvet Professional’s Ovation line of LED ellipsoidal, Fresnel and batten fixtures have earned widespread praise since their introduction a few years ago, impressing lighting designers from London’s West End, to regional theatres in Australia and across the US. 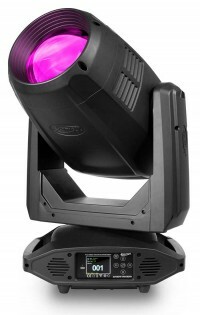 Now the company has expanded the groundbreaking stage lighting series by introducing a collection of Ovation par fixtures. 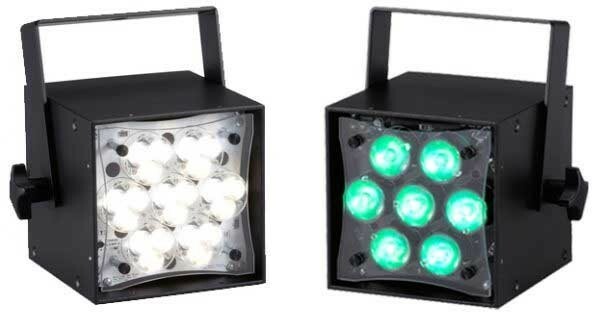 Available in RGBA-lime, warm white, variable white and UV models, the new par fixtures feature 16-bit dimming, a single-source homogeneous light, RDM and Variable Pulse Width Modulation. All of the new pars come with interchangeable lens plates for medium and wide beam angles, and they accept standard 7.5” beam shaping accessories. Ovation P-56FC –Featuring the same advanced full RGBA-lime colour mixing LED system found in the Ovation E-910FC ellipsoidal, this powerful compact fixture can produce colours ranging from subtle pastels to punchy saturates, as well as nearly any temperature of white. Ovation P-56WW – This bright, compact fixture has an output comparable to a 1,000 Watt PAR 64 lamp. 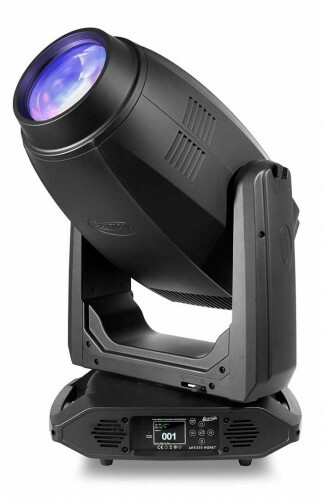 It produces a homogenised, single-source, flat and even field of light by using the same efficient warm white LED system found in the award-winning Ovation E-260WW ellipsoidal. 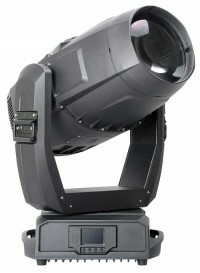 Ovation P-56VW –This ellipsoidal produces nearly any temperature of white with high CRI and CQS. The par’s colour temperature can be even further adjusted for +/- green, making it ideal for TV studios and broadcast applications. It features the same six-colour LED system found in the Ovation E-930VW. Ovation P-56UV – A first of its kind par fixture, this unit produces a flat and even field of true (365 nM) UV light with minimal projected visibility via a homogenised, single-source LED. The QDSP-10K 4 x 2500w Class TD Amplifier is 2Ω stable and features on-board DSP and impressive power to weight ratio. This is a multi-purpose amp that will add the expected quality to audio and it's suitable for both touring and installation. APT has designed the QDSP-10k to work seamlessly with all of its products including the brand new Mk2 subs. The amp is a turnkey product, simply plug in and play. It can also be shipped preset for any of the company's existing products. 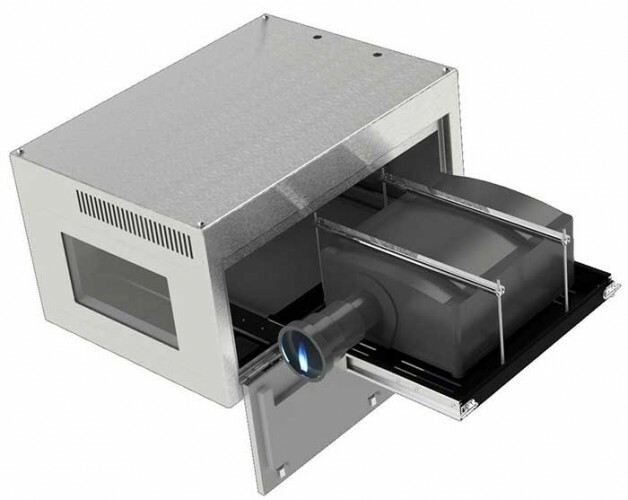 Optoma has expanded its range of DuraCore laser ProScene projectors with the launch of two high-specification compact projectors. the ZU506 and ZH506. These cost-effective, feature rich WUXGA and Full HD 1080p resolution projectors boast a brightness of 5,000 lumens and offer flexible installation with a generous zoom, vertical lens shift, four corner adjustment and portrait mode. Optoma’s DuraCore laser range champions an industry-leading laser light source along with an independent IP rated dust certification. The ZU506 and ZH506 deliver 30,000 hours in full brightness mode and continuous 24/7 operation. Additionally, IP5X certification ensures total reliability for peace of mind even in the most demanding of environments. Designed for large venues such as schools and colleges, museums and attractions, houses of worship and corporate meeting rooms, the new projectors’ vertical lens shift and 1.6x zoom ensure quick and accurate installation. Four corner geometric adjustment is also included for uneven walls or where a projector placement is awkward and needs to be installed at an angle. Once installed, these low-profile installation projectors can be managed and monitored easily over a network via the RJ45. 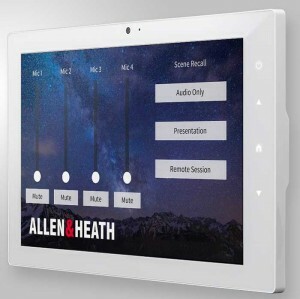 Compatible Crestron RoomView software can be used to power on/off, monitor, manage and control up to 250 projectors at the same time from any computer. Zen is available in three standard sizes, covering most projectors from 10,000 to 30,000 lumens in landscape format. Tempest also offers its conventional Tacit indoor enclosures, with a host of customizable options, including portrait and Ultra-Short-Throw versions. California-based Tempest is the world's premier manufacturer of specialist outdoor enclosures and indoor HUSH boxes for digital projectors. Patented Digital Enclosure Control technology keeps equipment cool when it's hot, warm when it's cold, and prevents harmful condensation. Zen will be available for installations from Spring 2019.